Do you have a question on Zeina, our products, delivery or anything else? We might have answered it before so please take a look at our FAQs. This varies from product to product but is clearly marked on each pack (generally from 9 to 12 months). Yes, all our products are suitable for vegetarians and approved by the Vegetarian Society. Yes, all our products are vegan-friendly and are certified vegan by the Vegetarian Society. Are your snacks suitable for gluten free diets? Yes, most of our snacks are gluten-free. Although our Delicious Spicy BBQ Almonds and Cashews, and Delicious Spicy BBQ Cashews do contain gluten. 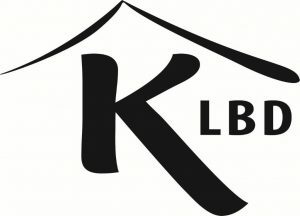 Our Zeina Love Our Food range is all certified Kosher under KLBD. However, our Zeina Delicious Snacks are not! We are peanut, dairy and sesame free, any other allergens are clearly marked on the packaging, or in ‘Allergen Information’ on our product pages. Do you use any genetically modified ingredients in your products? I have made an order through Amazon and I have a problem, what should I do? If your order was purchased directly from Amazon, all contact should be initially made through Amazon. However if it was made through us, please feel free to Contact Us. Can I buy in bulk and is there special process for bulk buying? Yes, please send an enquiry via our Contact Us page. Yes, we do! please contact us for details. No, but orders over £250 include free delivery. How do I become a Zeina Foods stockist? Please give us a call on 01924280180 or send an enquiry via our Contact Us page for details.